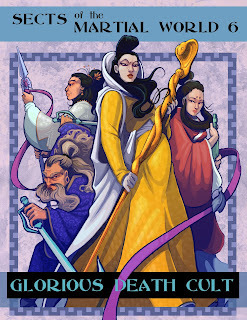 The latest Sects of the Martial World PDF, Glorious Death Cult, is available now HERE. Check it out, and if you like it, spread the word! The Glorious Death Cult dedicates itself to the spread of heroic martyrdom. Disfigured masters of disguise, they shepherd heroes to their doom where their leader, Supreme Master Tung, immortalizes the glory with a calligraphy brush to grow his own divinity. They are rivals to Supreme Master Tung’s brother, Tung Lu, a righteous and stubborn hero who lives to kill the Glorious Death Disciples. Whether the players join with the Death Cult or help the Tung Lu family is for them to decide. 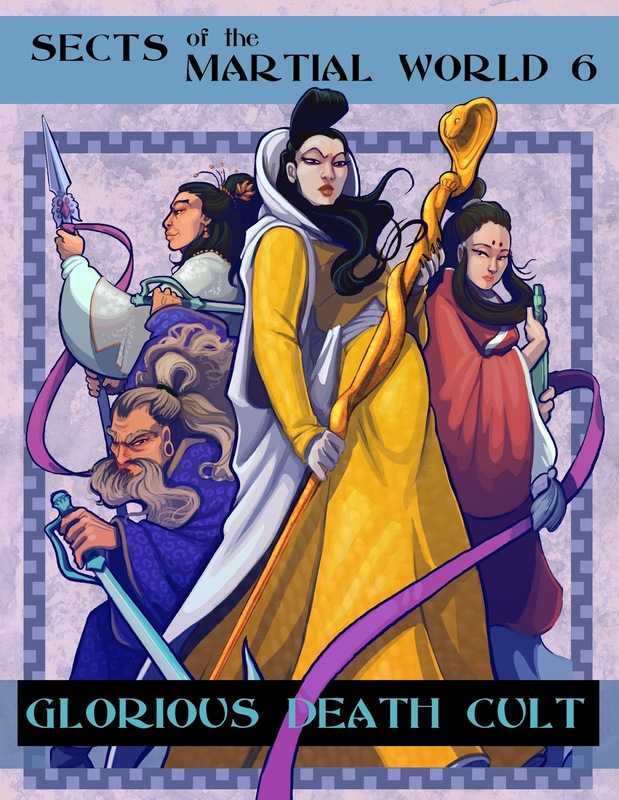 This PDF includes stats for members of Glorious Death Cult and Tung Lu Family, new Kung Fu Techniques, a description of the Endless Noodle Restaurant, new Objects of Power, stats for the Wolf Tooth Club and a new Monster. It is designed to be dropped into any campaign as needed.